Amid tropical gardens on the edge of El Yunque National Rainforest, this eco hotel features Caribbean architecture, panoramic island and ocean views. The breakfast is included and free private parking is available. 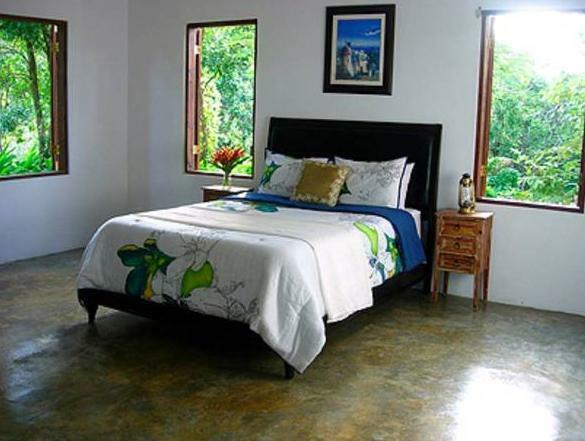 The rooms at El Hotelito at the Rainforest Experience Farm feature Colonial décor and balconies offering views of the mountains. The amenities include a sofa bed and some rooms enable the disabled easy access. The electricity is solar and the water comes from the rain. The on-site restaurant serves Puerto-Rican creative dishes and international cuisine, and there is also a bar. A near restaurant and bar area is located 15 minutes’ drive away. Luquillo Beach can be reached in a 20-minute drive, and the ferries dock traveling to Culebra and Vieques is 18 minutes’ drive away. Luis Muñoz Marin International Airport is 50 minutes’ drive away. Please add that this property is adult exclusive and does not accept children of any kind. Reservations with children will not be accepted. Please note that stays of just one night require a deposit of 100% of the total reservation at the time of booking. Also note that check-in is to be completed before nightfall, registration closes at 18:00 hrs. If you will be arriving after 18:00, you must contact the property directly via telephone or email in advance to arrange for late check-in. Te property charges a $10.00 cover charge per bottle of wine or $5.00 per person if you drink your beer in the restaurant and bar area. Please inform El Hotelito at The Rainforest Experience Farm in advance of your expected arrival time. You can use the Special Requests box when booking, or contact the property directly with the contact details provided in your confirmation.